Forming and counseling emerging companies and entrepreneurs. Representing issuers and investors in seed and venture capital financings, from “friends and family” rounds and convertible security issuances to preferred stock venture capital financings, as well as investments by strategic investors. Representing buyers, target companies and stakeholders in mergers and acquisitions. property concerns, employment matters, and equity incentive plans and related issuances. Advising on cross-border transactions, with a focus on M&A and financings involving India-based entities and founders. Securities matters, including public offerings and public company reporting. Alex’s clients span a broad range of industries and sectors including technology, consumer products and retail, life sciences and biotech, various services industries, and media and entertainment. Prior to joining the firm, Alex began her legal career in Silicon Valley, first in Pillsbury Winthrop Shaw Pittman’s Palo Alto office as a corporate paralegal and subsequently as an associate at a boutique corporate firm and at King & Spalding in Palo Alto. 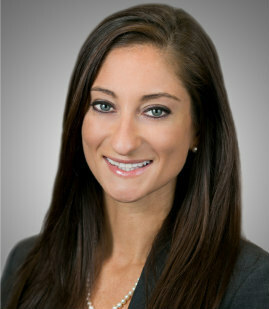 Prior to joining MSK, Alex focused on mergers and acquisitions at an AmLaw firm where she worked with numerous offices on the West Coast. ADT Pizza (private equity fund) – Acquisition of 125 Pizza Hut franchise locations and related assets. Jill Group (NYSE: JILL) (women’s clothing retailer) – $400MM Sale to TowerBrook Capital Partners. Leftronic (provider of real time business dashboards) – Sale to AppDirect. Zinnov – Sale of core business unit Talent Neuron (big data predictive analytics provider) to Corporate Executive Board (NYSE: CEB). LayerbyLayer (3d printing solutions provider) – Sale to Makerbot. Tarshan (IT service management company) – Sale to ENABIL Solutions. Emerge.MD (telehealth provider) – Merger with Avizia. Ntropy (Grep Data) – Acquihire by 6Sense Insights. Industry-leading consumer goods vendor – Sale to private equity fund consortium. Peloton Technology (automated vehicle technology company) – oversubscribed $17MM Series A Financing led by DENSO International America and Intel Capital. Subsequent investment round led by Nokia Growth Capital. General corporate counseling. Octro (India’s #1 online gaming company) – $15MM Series A Financing led by Sequoia Capital. General corporate counseling. Point-of-sale software solution provider – $15MM Series B Financing. Unsugarcoat Media – Series Seed Financing to acquire assets of and revive beloved San Francisco-based online publication The Bold Italic. General corporate counseling. SightCall (augmented reality video assistance platform) – $8.3MM Series A3 Financing & Issuance of French Convertible Bonds led by IdInvest Partners. Avaamo (conversational AI platform) – $6.3MM Series Seed Financing. General corporate counseling. TripHobo (India-based online travel company) – $1MM Series A Financing led by Kalaari Capital. Series Seed Financing and reincorporation in US. Fin Robotics (India-based wearable device technology company) – $2MM Series A Financing, led by Kalaari Capital. Verlocal (online marketplace for experiences) – $2.65MM Series Seed Financing. Rented (online vacation rental company) – Series A Financing. Mevoked (mental health analytics company) – Series Seed Financing led by accelerator Laundpad Digital Health. Hashcube (Indiabased social gaming company) – Series Seed I Financing & Series Seed II Financing, led by Nazara, IAN Network, & Blume; formation of US entity and reincorporation of India entity in US. Qventus (AI-based healthcare analytics platform) – Series Seed Financing led by Stanford-StartX Fund. AdPushup $632,000 Series Seed Financing. Avaz (creator of award-winning picture and text-based communication app for children with autism) – Series Seed Financing. MoEngage (India-based marketing platform company) – Series Seed Financing led by Helion Ventures. Venture capital fund – Series Seed investment in mobile application company. Consortium of venture capital investors – Series A investment in European life sciences company. Multiple large public company clients – strategic early-stage investments. Numerous clients – Convertible note financings; SAFE financings; debt and equity financings with accelerators and incubators. Corporate Associate, Inventus Law, Inc.